The color of your watch, cuff links and belt buckle should be similar. That’s the ideal, but you can relax a little on this rule. Physical proximity matters: Watch and cuff links should complement each other. But if your wedding band is yellow gold and the horse bits on your Italian loafers are silver, chances are the style police will let you off without so much as a warning. The colors of metal accessories should match. In this picture, a Cartier watch and cuff links were designed to go together. 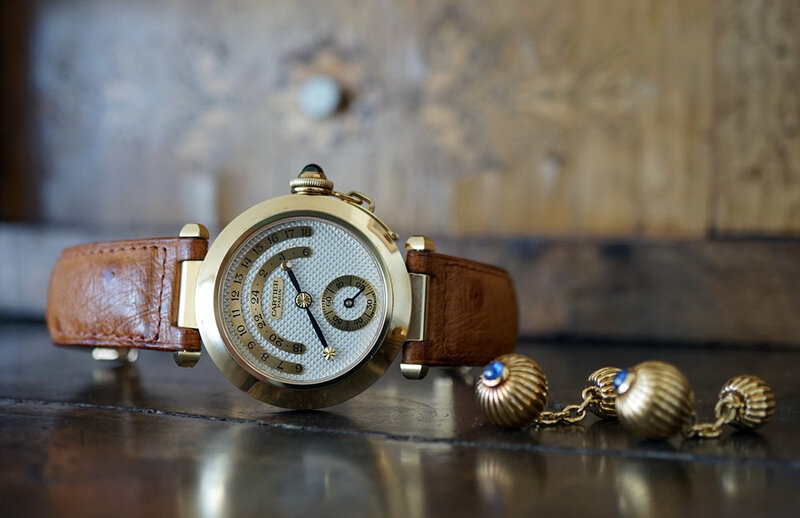 Not only do the gold colors match, but so do the round shapes and the decorative sapphire detailing. The color of your watch strap, belt and shoes should match, more or less. You’re wearing a tan leather watch strap and black shoes? Go home and change immediately. 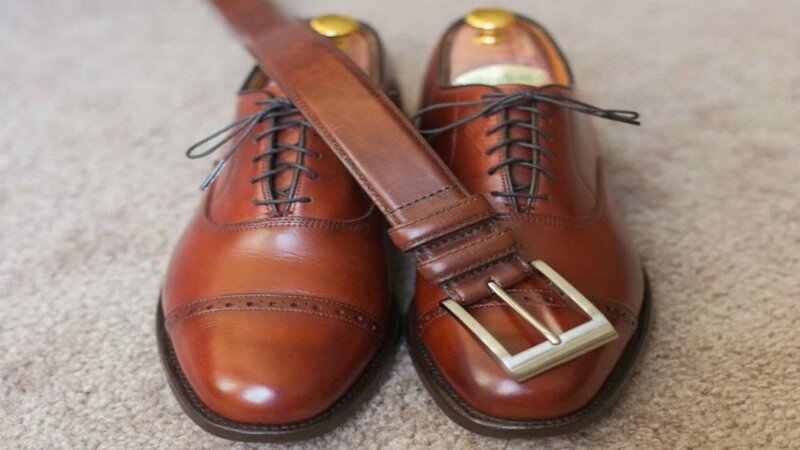 Menswear’s most basic rule of matching: The colors of leather shoes and belt should be close. Never mix black and tan (unless it’s in a pint glass). Or don’t. If the rest of your look is sedate, you can add interest by wearing colorful socks—or going sockless. Match dress socks to the color of trousers, not shoes, whenever possible. It’s more integral and more elegant. As these images show, the trousers-socks match has the desirable effect of lengthening the leg line. Of course, you can always use bold socks as a way to make yourself stand out—matching them to nothing at all. You might echo a minor color in your shirt or tie with a color in your pocket square or the windowpane in your sportcoat. Subtlety is key here. 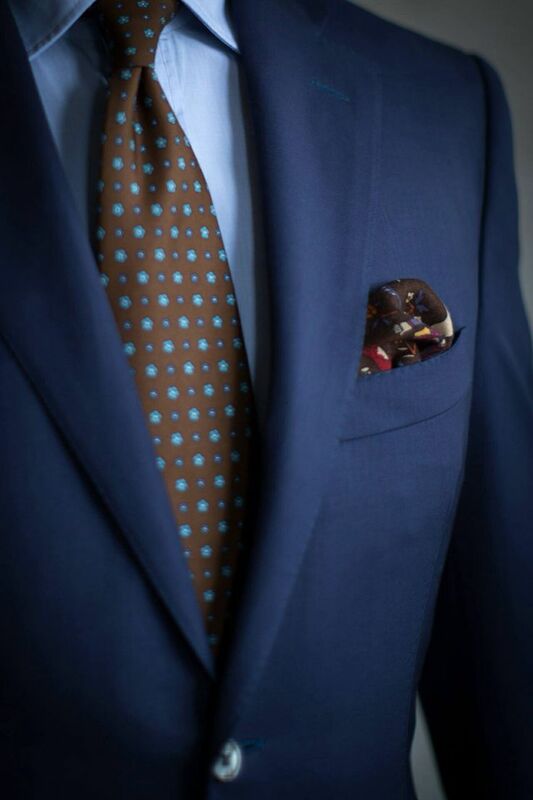 As seen in this look, a pocket square should ideally pick up some color detail from the necktie—but not match too closely. Yes, you can buy matching sets. But to wear the pair together is a sign of sartorial weakness. Sorry. This look might work in Santa’s workshop, but it’s to be avoided everywhere else on earth. Contrast is key here! At the very least, contrast the shades. Example: A dark blue suit and a light blue shirt is an acceptable combination, but a better choice would be a white or striped shirt. A blue shirt would have killed this cool-weather look, but a white shirt with a bold blue check—that works. Note how the rust color in the pocket square plays off the necktie. 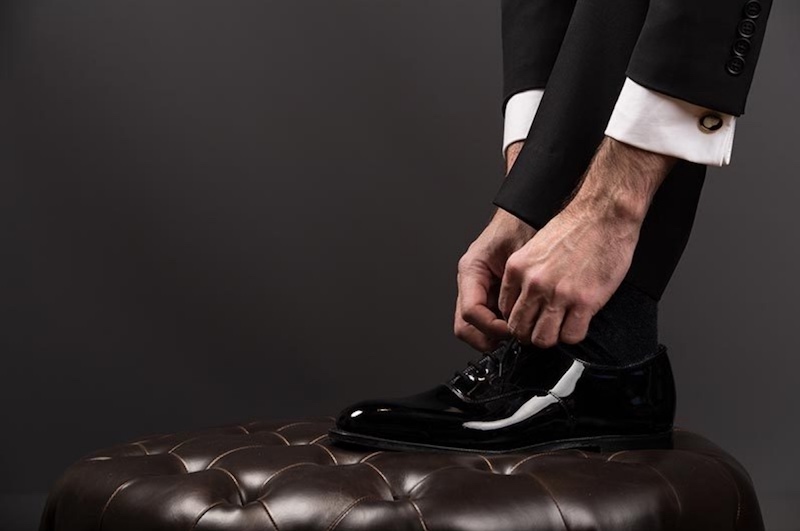 We can think of one, and only one, exception to this rule: black shoes with a black tuxedo.